28th January, 2019. History of Public Parks, 20. 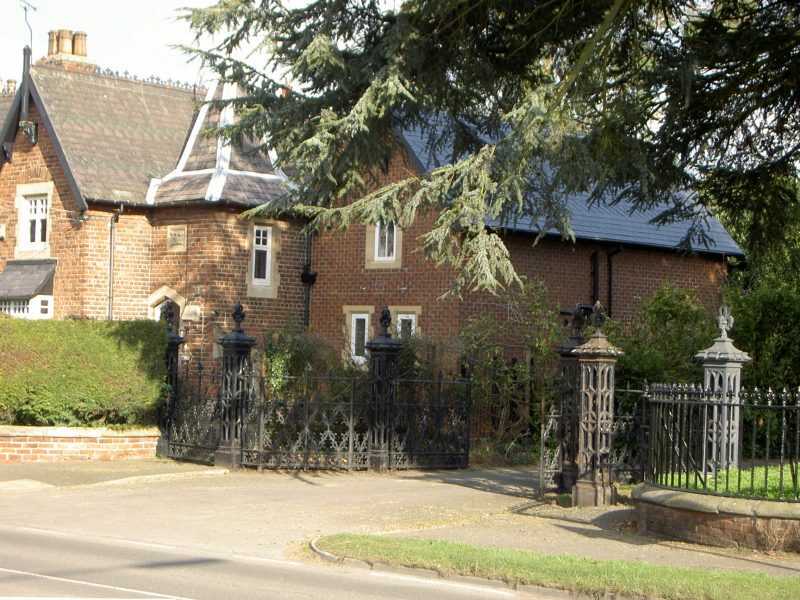 The picture above shows the original main entrance to the civil cemetery at Barton on Humber, it shows three elements of early civil cemetery design ornate wrought iron gates and fencing, the cemetery-man’s house and a preference for ‘exotic’ tree species in the lay-out plan. All three elements could just as well apply to Victorian municipal parks gates and perimeter fencing, park-keeper’s housing and avenues of trees planted along the main carriageway with more random plantings elsewhere in the park. Hull’s parks no longer have their original fences and gates (s.p.b.) but a study of the Parks and Cemeteries Committee Minute Books for the late 19th century show that by-and-large they did have them and one of the many duties required of park-keepers in return for their provided housing was to ensure that gates were locked and opened at designated times each day, overnight park security was seen as a necessary priority. It was only gradually that parks became more open (s.p.b. ), this generally as a response to funding reductions. Work on creating the original section of Barton’s Civil Cemetery began in November 1866. Alexander Stamp, builder of that town, was awarded the contract to build the cemetery-man’s house and the chapels of rest (one for members of the Established Church, one for Nonconformists). However, over one third of the agreed sum for the work was the ornamental iron fence and gates which remain, still sturdy and impressive. Clearly fencing and gates were a considerable elements in the capital cost of creating early municipal parks and cemeteries. The cemetery-man’s/park-keeper’s house was usually sited near one of the gates. In the case of Hull the man (and his family) in question usually lived in the house rent-free but accepted a slightly lower weekly wage than most labourers working under him. With having provided housing, usually of a good standard and detached, the keeper’s duties were considerable and his working time expected to be flexible.